Dark Souls (PS3, 360) I really, really enjoyed Demon's Souls so want to play this when I have a decent amount of time and concentration to devote to it, to really enjoy it and progress through it. Maybe over Christmas I'll get a chance to play this one. I got it on PS3 but I now realise its on the 360 as well. I kind of wonder if the community has taken to this game. Xenoblade Chronicles (You Americans can now rejoice that it is coming to you/mutter under your breath about the high import prices you payed to import.) It seems the Wii is coming to the end of its lifetime, which is a bit unusual...I don't normally like to see consoles fade away or developers leave them alone because a newer console is on its way out as it usually means we miss out on a lot of good games. I will need to do some reading up about the Wii U (I'm still not too sure whether its a new console altogether or some kind of Wii peripheral...I watched the videos of it initially but didn't really do much investigating into what it actually is. I did a similar thing with the PS Vita, I still don't fully understand what it does and how it integrates with back compatibility and PS3 games.) Even though the Wii looks to be getting close to the end of its lifetime (it hasn't been that long has it?) there are still some good games coming out. The Legend of Zelda: Skyward Sword (Wii) got some really good praise and reviews when it came out recently. 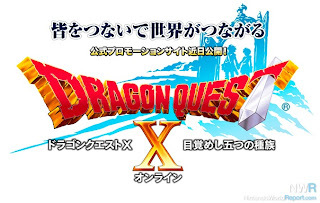 I'll only be picking that one up if I can cheaply find the special edition with the Wii Motion Plus bundled in with it (because I hate to buy peripherals and don't have that thing yet) Dragon Quest X: Mezameshi Itsutsu no Shuzoku Online or Dragon Quest X: Rise of the Five Tribes Online (Wii/Wii U) should definitely be interesting. People are finding it fashionable to hate on this one and its not even out yet. I'm optimistic about it-I had some good fun with Monster Hunter Tri recently. I mean, the devoted Capcom servers are not ideal (they kicked me off more than a few times, although I don't know how much that was down to my router being kind of far from the Wii) but they did the job. For a free online game (it had a subscription fee in Japan), it was a lot of fun and done quite well. So...after that long winded aside.. Xenoblade is one mammoth game from what I've heard, so I really want to have some time available to really enjoy it. I've only heard good things, and for me (if I'd played either), this or Skyrim would be my game of the year. I expect these 2 games to do well this year in terms of awards. I got The Legend of Zelda: Ocarina of Time 3D on my birthday from 'Ms Planet Hell' I suppose you could call her hehe =p So I finally got a chance to play this game again after absolutely ages! I never originally got an N64 so didn't get to play what some people have called one of the best (if not the best) games of all time. I saw it occasionally at my friend's house and on the Gamecube collection thing that had it, but was always put off by the horrific N64 graphics...They just made me really nauseous and scared. Ironically, the game was to be released when the 3DS came out and it was able to give people headaches for different reasons =p I was really impressed with the graphics they did for this version. The 3D was a lot better done than the previous 3D game I played, Monkey Ball. I think the 3DS is starting to get some decent games coming out now, its starting to become a system people are wanting to play now. Mario Kart 7, Super Mario 3D Land (or some stupid name) are two that seem good so far. I've picked up the 2nd half of the Ambassador programme games now, and there are some quite decent games thrown in there for the GBA! I was in quite a mood to play old school feeling dungeon crawling games, and I got through Etrian Odyssey and Orcs & Elves. One is huge, long and difficult (nearly went to a thats what she said moment there) and one is short and unusual. Both are really good fun though with a lot of nice quirks and throwbacks to older games, and I'm looking forward to playing more dungeon crawlers soon. Etrian Odyssey II: Heroes of Lagaard is in my list of games to get through, and I'm really wanting to pick up Wizardry: Labyrinth of Lost Souls. It looks really tough but good in terms of gameplay and artstyle, all for a budget price on PSN. 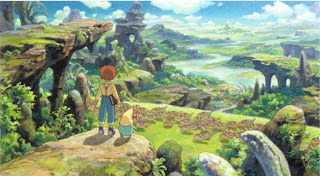 Ni no Kuni should be really good! I'm hoping that it sells well over here, as it kind of flopped when it came out in Japan. They need some kind of special edition to get people interested I reckon =p Either way, I'll pick it up to support Namco Bandai in localising similar games. 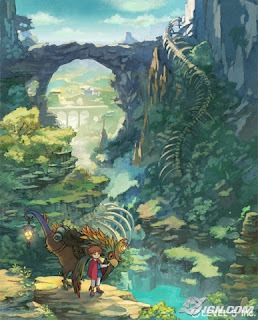 The Last Story is another one that I was pleased that it would be coming out to Europe, but I thought it wouldn't be a definite (and would somehow depend on how well Xenoblade did, even though I'm pretty sure they are in no way connected) release. Europeans have a release date for this one now, which is super good news!